Honda Motorcycles and Scooter India Pvt. Ltd. has launched the 2017 Dream Yuga with an updated BS-IV compliant engine and Auto headlamp On technology. 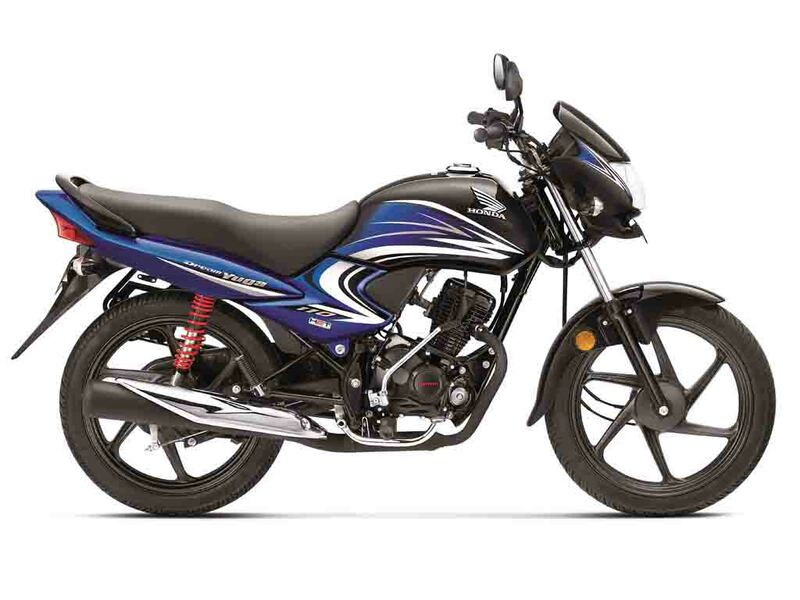 Despite the update, pricing of the 110 cc commuter motorcycle remains unchanged and it continues to be sold at Rs. 57,741 (ex-showroom, New Delhi). 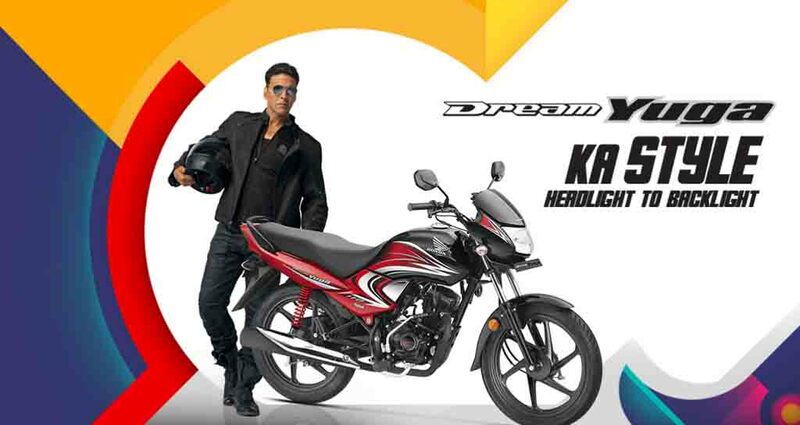 The Honda Dream Yuga comes with a very practical design. It has been keeping the Indian road conditions in mind. The motorcycle sports a large headlamp with AHO, complying with the new rule. Apart from that, it sports a trendy front visor. The instrument cluster features twin analog dials and the 8-litre capacity fuel tank gets attractive body graphics at side. The motorcycle is available in a total of six different colour options, including solid and dual tone paint scheme. The long seat has been designed keeping the comfort of the rider and pill8ion rider in mind. It gets a stylish grab rail for pillion rider’s convenience, while the taillight looks compact. The chrome garnished fuel tank lid, 3D emblem, chrome plating on machinegun muzzle like exhaust enhance the visual appeal of the commuter motorcycle. Power source of the 2017 Honda Dream Yuga is the same 109.19 cc single-cylinder, air-cooled, four-stroke engine that does duty in the Honda Livo and Honda CD110 Dream DX model as well. This engine is mated to a 4-speed transmission and capable of churning out 8.31 bhp of peak power at 7,500 rpm and 9.09 Nm of peak torque at 5,000 rpm. The 109 kg weighing motorcycle offers 179 mm of decent ground clearance. It can run at a top speed of 86 kmph. 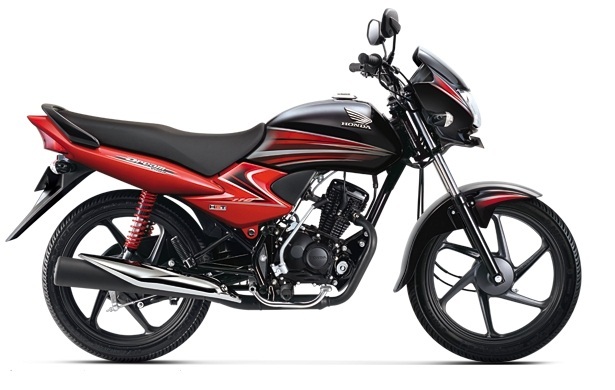 For braking duty, the Honda Dream Yuga gets 130 mm drum brakes at both the front and rear wheel, while suspension duty is done by telescopic front forks and 5-step adjustable spring loaded hydraulic suspension at rear. It runs on alloy wheels wrapped in tubeless tyres.